The considerable economic growth makes penang one of the most developed cities in Malaysia. 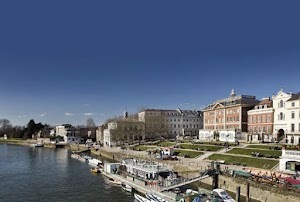 This can be seen from the development that continues to be encouraged in this city, as well as the people's economy that continues to increase. Likewise with the sectors of the tourists, penang city continues to clean up. Penang is an island located northwest of Malaysia. Penang is one of the favorite tourist destinations in Malaysia besides Johor Bahru and Kuala Lumpur. 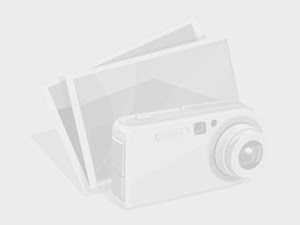 Penang is famous for its cultural treasures, beaches, culinary tours, and shopping tours so it is not strange if Penang is visited by many tourists. 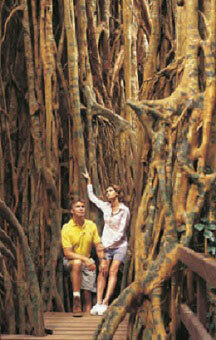 What are the tourist attractions in Penang must-see? Penang Hill is one of Penang's attractions most visited by tourists from all over the world. In addition to having some interesting places to visit such as the Owl Museum, where it is also known by the name of the Flag Hill offers the cool air so easily become favorite tourist attractions in Penang. True to its name, Penang Hill is an area of hills so as to be able to reach the top, you have to use the train the Penang Hill Railway. Trains operate from 9 a.m. until 11 tonight offers the beautiful scenery during the trip so that the train rides on this will be a very unique experience. Alternative to train with fares 30 Ringgit this is to use a taxi, but be aware that taxis in this area do not use the meter. I suggest to ask in advance to the hotel clerk how reasonable prices for Your travel route that will. KeK Lok Si Temple located in Air Itam, Penang is the largest Buddhist temple in Southeast Asia. The shrine who are over 1 century is situated in a beautiful Hill and adopted the style of a temple in Thailand with a mixture of ornament typical of China. This temple can be reached by using the public bus from George Town. This temple complex has a pagoda seven stories and every celebration of the Chinese new year is very festive, after the celebration of the lunar new year, during the full moon of this temple complex will open late into the night in which seven pagodas Temple level will be decorated Lantern-lantern's vibrant and colorful as the Penang Pagoda Burn. Fort Cornwallis is one of the tourist attractions in Penang who are the oldest. Built in 1786, Fort Cornwallis is a fortress that serves to maintain power the United Kingdom although the Fort was more serves as the administrative center of on as stronghold. Currently Fort Cornwallis is still much visited by tourists who want to see Penang heritage, such as the ancient lights, Chapel, prisons, until with the gun. Pinang Peranakan Mansion located in George Town is a museum of historical and cultural heritage ". Once upon a time, this building was the residence of a wealthy descendants of Chinese who loves the stuff worth of art in the form of jewelry, furniture, artifacts, and more. The price of admission Pinang Peranakan Mansion is 30 Ringgit Malaysia. Located in George Town, the Cheong Fatt Tze Mansion is a legacy of the Chinese immigrants who built in 1880 by a merchant named Cheong Fatt Tze. The House has 38 rooms was built by following the feng shui belief. The mansion has a blue color was eventually purchased by an entrepreneur Malaysia not demolished and remains awake its historical value. Now in addition to tourist attractions in Penang, Cheong Fatt Tze Mansion is also frequently used as a filming location for many different types of movies. Located in George Town, Penang, Sri Mahamariamman Temple is a tourist in Penang that most caught my attention. The temple is the oldest Hindu temple in Penang offers a festive cultural ornaments of ancient India with many statues of Hindu deities. The price of the entrance ticket to Sri Mahamariamman Temple is free. In addition, you are also free to photograph the entire corner of the Sri Mahamariamman Temple, except the main altar area. 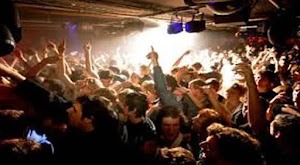 These sights are open from 6.30 in the morning hours until 12 noon, and from 4.30 in the afternoon hours up to 9 pm. Running from August to September, 2017, this annual festival brings Penang’s multicultural arts to the fore, and also features international music ranging from Tamil song to chamber music, Bollywood melodies to Flemish contemporary dance. Film, theatre productions and art exhibitions also feature. George Town was listed as a UNESCO World Heritage Site on 7th July 2008. The month-long George Town Festival was inaugurated in 2010, as a concerted effort to promote arts and heritage in Penang by the Penang State Government, Municipal Council of Penang Island, George Town World Heritage Incorporated, and Penang Global Tourism. 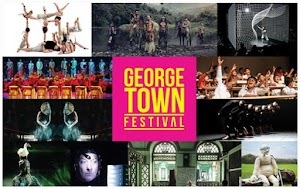 An annual event, George Town Festival is a feast of theatre, music, dance, film, arts, food, fashion, photography, inspirational talks, and visual spectacles on the streets. By bringing together different artistic communities based here and abroad – schools, amateur groups, cultural groups and professional performers – George Town Festival becomes a platform for local and international artistic exchange. It is guaranteed to give audiences a broad taste of traditional and contemporary artistic activity in George Town. George Town Festival also offers creative practitioners, educators and business operators opportunities to create new works and form relationships with an array of different community groups. The Festival is growing each year, and it is a valuable platform to reach local and international audiences and stimulate Penang’s economy. 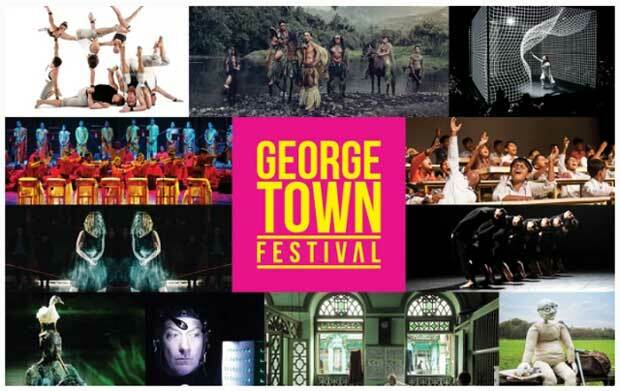 The George Town Festival, which has been going on for the last eight years, has hosted a very critical production of diverse companies and sold-out drama and countless local collaborations! Opening opportunity to those who have project/idea/show that QUIRKY, INSPIRING, INTRIGUING, RELEVANT, simply fill in the following form for George Town Festival 2018, tentatively happening in August 2018. Check out the website and link below to get an idea of who they are or just fill in the form, come to George Town and see for yourself!. A variety of Indian curries at a street stall in George Town, Penang. Enjoy authentic Chinese cuisine from street stalls in Georgetown, Penang. Queensbay Mall is conveniently located not far from the Penang airport. This Mall is one of the biggest mall in Penang so there is no need to doubt the shopping tour completeness and experience it offers. In addition to shopping and sightseeing in Queensbay Mall food, you can also play on the beach because the mall never deserted visitors is located at the edge of the beach.